Dr. Ajay Kumar Poddar , Chief Scientist, Synergy Microwave Corporation, New Jersey, USA. 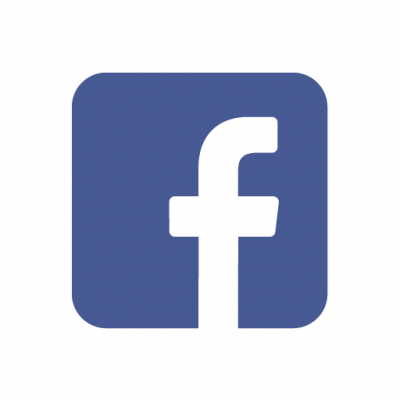 help students get exposure to recent trends and developments in industry. IEEE MTT-s Students Branch Chapter received the IEEE Microwave Theory and Techniques Society 2016 MTT-s Outstanding award rewarded to IEEE MTT-S Amrutvahini College of Engineering, Sangamner Student Branch Chapter consisting of 1500$ and a plaque. 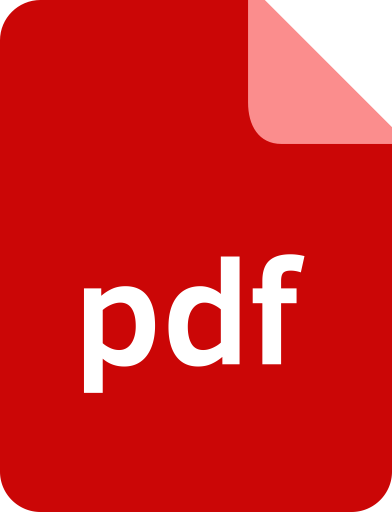 Department has a total number of 124publications in International Conferences, 141 publications in International Journal and 34 number of publication in National Conference and News Bulletins. Department is actively associated with Research activity and has fetched grants of Rs. 51,29,244.00 from various financial institutes such as AICTE, IEEE and BCUD-SPPU through MODROB, Students Branch Chapter and RPS(Research Promotion Scheme) respectively. Effective Teaching Learning Process has always ensured that departmental results are always better than University results. Department has 9 University rankers with Mr. Ankit Dangi securing 1st rank in the University during academic year 2009-10. Department has organized 2018 International Conference on Advances in Communication and Computing Technology (ICACCT) , technically sponsored by IEEE Bombay Section in association with IEEE Microwave Theory and Techniques (MTT-s) and Antenna and Propagation Society (APS) during February 8th -9th, 2018. Recognize the need for and have the preparation and ability to engage in independent and life-long learning in the broadest context of technological change. 1. To inculcate state -of -the art technologies in the field of Electronics and Telecommunication. 2. To acquire professional skill sets in rapidly changing environment. 3. To develop society-oriented value-based learning. 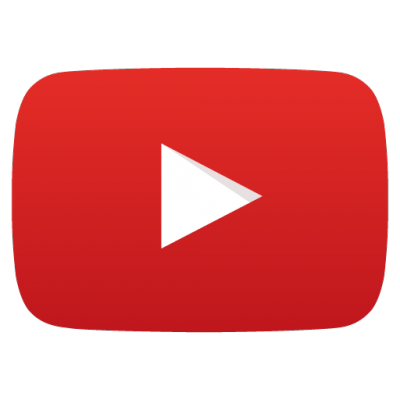 b) DSP application software system generator. Area of Specialization: Digital Electronics, Integrated Circuits, Electronic Product Design, Electromagnetic Interference and Compatibility. Invited as a speaker at the FDP on “RF and Microwave Applications" at PES College of Engineering, Aurangabad under TEQIP IIII World Bank Project on October 30 th, 2018. Invited as a resource person at the FDP on “ Revised syllabus for BE E&TC (2015 Pattern) for the subject Radiation and Microwave Techniques ” at Modern College of Engineering, Pune. 1. Dr. R. P. Labade Received the prestigious “Outstanding Engineer Award” for her outstanding performance and excellent work in Engineering field. This award was given by The Institution of Engineers India (IEI), Ahmednagar Local Centre on the occasion of 50th Engineers’ Day celebration on September 15th, 2017. 2. Dr. R. P. Labade Presented a paper, “Semicircular Multiband ACS Feed Antenna for IoT” in 2017 Asia Pacific Microwave Conference (APMC) held during 13th – 16th November 2017 at Renaissance Kuala Lumpur Hotel, Malaysia. 3. Dr. R. P. Labade Invited as Session Chair at the 2017 Asia Pacific Microwave Conference (APMC) held during 13th – 16 th November 2017 at Renaissance Kuala Lumpur Hotel, Malaysia. 4. 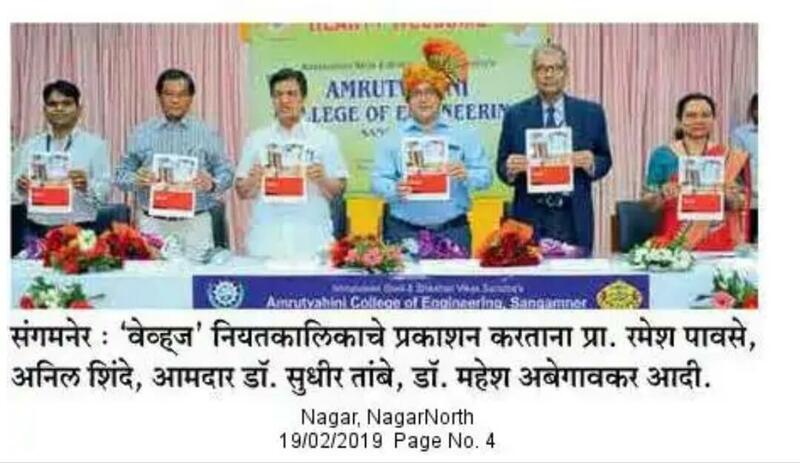 Dr. R. P. Labade Signed a MoU on behalf of Amrutvahini College of Engineering, Sangamner with Linton University, Malaysia. The MoU offers student exchange program, internships, faculty exchange and orientation programs, etc. 5. Department of E&TC (Dr. R. P. Labade received on behalf of E&TC department) Received the IEEE Microwave Theory and Techniques Society 2016 MTT-S Outstanding award rewarded to IEEE MTT-S Amrutvahini College of Engineering, Sangamner Student Branch Chapter at IEEE MTT-S International Microwave and RF Conference (IMaRC) 2017, Hyatt Regency, Ahmedabad, Gujarat during December 11th -13th, 2017. The award consists of a plaque and $1500. 6. Dr. R. P. Labade Attended the CCM Meeting at IEEE MTT-S International Microwave and RF Conference (IMaRC) 2017, Hyatt Regency, Ahmedabad, Gujarat during December 11th -13 th, 2017. The CCM meeting offers a common platform to student’s branch counselors to share the activities carried out by each student branch. 10. Ms. R. P. Labade Delivered lectures as resource person during faculty Orientation workshop on revised syllabus for subjects Antenna & Wave Propagation and Microwave Engineering organized by SPPU. 15. Mr. P. R. Gunjal e-Yantra team AVCOE won the “Class B” Award and received certification of merit for TBT (Task Based Training), an initiative by IIT Bombay, a project sponsored by MHRD – NMEICT, during December 2017 to march 2018. 01 Dr. R. P. Labadepublished paper on, “Design of Encrypted SDR and analysis of Noise in High Level System Architecture using MATLAB” IJEAT, Vol.6, Issue-ICDSIP17, Mar 2017, pp.115-120. 05 Dr. R.P.Labadepublished paper on, “A Study Paper on Different Structures Used to Realize Multiband Antenna for Wireless Applications”, International Journal Of Electrical And Electronics Engineers, Vol.No.9.No.1, PP. 1019-1027,2017. 06 Dr. R.P.Labadepublished paper on, “Analysis of Micro strip patch Antenna Using Coaxial feed and Micro strip line feed for Wireless Application” IOSR Journal of Electronics and Communication Engineering (IOSR-JECE) e-ISSN: 2278-2834,p- ISSN: 2278-8735.Vol. 12,No. 3, Ver. III, PP 36-41, May - June 2017. 08 Dr. R.P.Labadepublished paper on, “Design of Rectangular Shaped slotted Micro strip Antenna for Triple Frequency Operation for wireless application” International Research Journal of Engineering and Technology (IRJET) e-ISSN: 2395-0056 Vol. 04,No. 12,pp 610-614, Dec-2017. 10 Mr. S. R. Gagare published paper on, “Design of Rectangular Shaped slotted Micro strip Antenna for Triple Frequency Operation for wireless application” International Research Journal of Engineering and Technology (IRJET) e-ISSN: 2395-0056 Vol. 04,No. 12,pp 610-614, Dec-2017. 11 Mr. R. S. Pawase published paper on, “MEMS seismic sensor with FPAA based interface circuit for frequency drift compensation using ANN” International Journal on Smart Sensing and Intelligent Systems, Vol. 11, Issue 01, March 2018. 1. Ms. R. P. Labadepublished a paper titled,” Planar Monopole UWB Antenna for USB Dongle Application” Progress In Electromagnetics Research C (PIER), ISSN: 1937-8718, Vol. 60, 37–46, 2015. 2. Ms. R. P. Labade published a paper titled “Printed Dual Band UWB Monopole Antenna with Tri Band Notched Characteristics for Wireless Communication” International Journal of Microwave and Optical Technology (IJMOT), ISSN 1553-0396, Vol. 10. No. 05, September 2015. 6. Ms. R. P. Labade published a paper titled, “Notched Characteristics for Wireless Communication” International journal of Modern trends in Engineering and research (IJMTER), ISSN 2349-9745, Volume 02, July 2015. 7. Ms. R. P. Labade published a paper titled “Compact UWB Antenna for USB Dongle Applications” International journal of Modern Tends in Engineering and Research (IJMTER), ISSN 2349-9745, Volume 02 July 2015. 8. Ms. R. P. Labade published a paper titled “Design & Gain Optimization of Compact ultra-Wideband Antenna” International journal of Modern trends in Engineering and research (IJMTER), ISSN 2349-9745, Volume 02, and July 2015. 9. Ms. R. P. Labade published a paper titled “L-slot Dual band Microstrip patch Antenna for WiMAX and WLAN Applications” International journal of Modern trends in Engineering and research (IJMTER), ISSN 2349-9745, Volume 02, July 2015. 11. Ms. R. P. Labade published a paper titled “Design of Coplanar Integrated Triband Microstrip Antenna with Koch Structure using CAD-FEKO” International Journal of Modern Trends in Engineering and Research (IJMTER), ISSN 2349-9745, Volume 02, July 2015. 12. 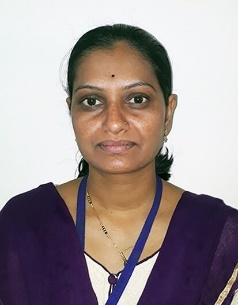 Ms. R. P. Labade published a paper titled “Dispersion-A-Bottleneck in Optical fibre communication” International journal of Modern trends in Engineering and Research (IJMTER), ISSN 2349-9745, Volume 02, July 2015. 13. Ms. R. P. Labade published a paper titled “Design of Coplanar Integrated Triband Microstrip Antenna with Koch Structure using CAD-FEKO” International Journal of Modern Trends in Engineering and Research (IJMTER), ISSN 2349-9745, Volume 02, July 2015. 15. Ms. R. P. Labade published a paper titled “Effect of Defected Ground Structure on Radiation Pattern of Ultra-Wideband Antenna (UWB)” International journal of Modern trends in Engineering and Research (IJMTER), ISSN 2349-9745, Volume 02, July 2015. 16. Ms. R. P. Labade published a paper titled “Evolution & Minimization of Radiated EMI of High Frequency RF Devices” International journal of Electronics & Communication Engineering organized by Seventh Sense Research group, ISSN 2348-8549, Volume 02- Issue 07, July 2015. 17. Mr. S. R. Gagare published a paper titled “Evolution & Minimization of Radiated EMI of High Frequency RF Devices” International journal of Electronics & Communication Engineering organized by Seventh Sense Research group, ISSN 2348-8549, Volume 02- Issue 07, July 2015. 18. Mr. S. R. Gagare published a paper titled “Design of Coplanar Integrated Triband Microstrip Antenna with Koch Structure using CAD-FEKO” International Journal of Modern Trends in Engineering and Research (IJMTER), ISSN 2349-9745, Volume 02, July 2015. 19. Mr. S. R. Gagare published a paper titled “Design and optimization of Coplanar Integrated Triband Microstrip Antenna with Koch for GPS/Bluetooth Applications” International Journal of Microwaves Applications (IJMA), ISSN No: 2320-2599, Volume no: 4, Issue no 4 on July-August 2015. 20. Mr. M. B. Kadu published a paper titled “Design of Microstrip Patch Antenna with Koch Snowflake Geometry for Multiband Applications” International journal of Advanced Research in Electrical, Electronics and Instrumentation Engineering (IJAREEIE), ISSN no 2278-8875, Volume 04, June 2015, Issue no 07. 21. Mr. M. B. Kadupublished a paper titled “Design of Coplanar Integrated Triband Microstrip Antenna with Koch Structure using CAD-FEKO” International journal of Modern Trends in Engineering and Research (IJMTER), ISSN 2349-9745, Volume 02, July 2015. 22. Mr. M. B. Kadu published a paper titled “Design of Microstrip Patch Antenna with Koch Snowflake geometry for Multiband Applications” International journal Advanced Research in Electrical, Electronics and Instrumentation Engineering, ISSN no: 2278-8875, Volume 4, Issue 7, on 07th July 2015. 24. Mr. R. S. Pawase published a paper titled “Design of Hexagonal Fractal Multiband Antenna with Parametric Analysis” International Journal of Microwave Applications (IJMA), ISSN 2320-2599, Volume 04, and July 2015. 25. Mr. S. R. Jondhale published a paper titled “Compact UWB Antenna for USB Dongle Applications” International journal of Modern trends in Engineering and research (IJMTER), ISSN 2349-9745, Volume 02, July 2015. 27. Mr. S. R. Jondhale published a paper titled “L-slot Dual band Microstrip patch Antenna for WiMAX and WLAN Applications” International journal of Modern trends in Engineering and Research (IJMTER), ISSN 2349-9745, Volume 02, July 2015. 28. Mr. C. D. Bhos published a paper titled “Dispersion-A-Bottleneck in Optical fiber communication” International journal of Modern trends in Engineering and Research (IJMTER), ISSN 2349-9745, Volume 02, July 2015. 29. 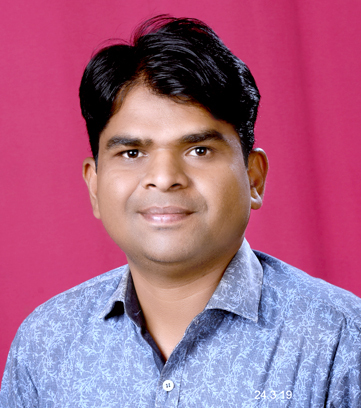 Mr. S. D. Pansare published a paper titled “Dispersion-A-Bottleneck in Optical fiber communication” International journal of Modern trends in Engineering and Research (IJMTER), ISSN 2349-9745, Volume 02, July 2015. 30. 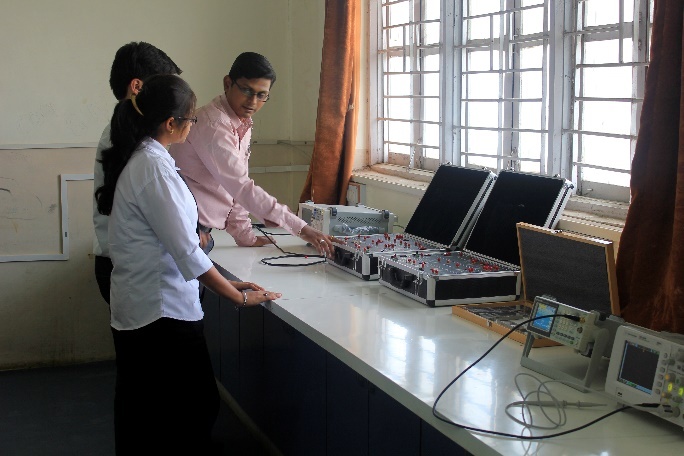 Mr. H. A. Shinde published a paper titled “Multiple Primary User Spectrum sensing using John’s Detector at Low SNR” International journal of Modern trends in Engineering and Research (IJMTER), ISSN 2349-9745, Volume 02, July 2015. 31. 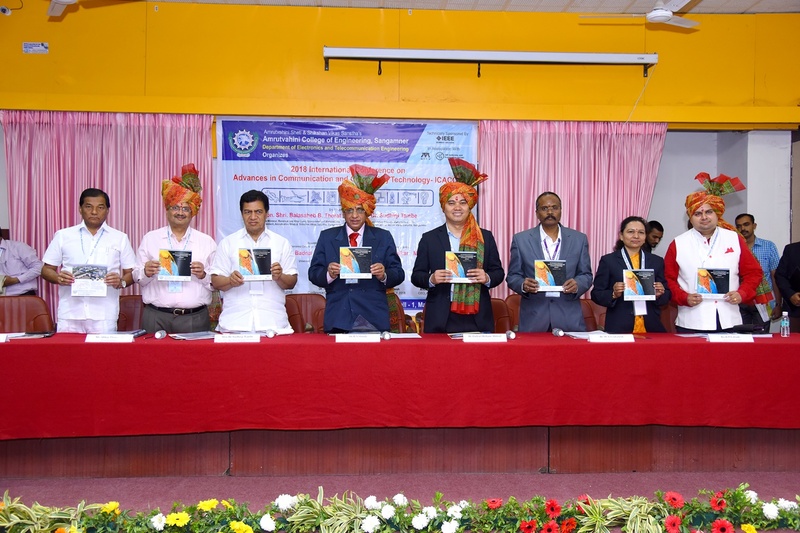 Mr. A. E. Kachare published a paper titled “E-Crime Alert” International journal of Modern trends in Engineering and Research, ISSN 2349-9745, Volume 02, July 2015. 32. Mr. A. E. Kachare published a paper titled “Evolution & Minimization of Radiated EMI of High Frequency RF Devices International journal of Electronics & Communication Engineering organized by Seventh Sense Research group, ISSN 2348-8549, Volume 02- Issue 07, July 2015. 33. Mr. M.D. Rahane published a paper titled “AES 256 Key Secured FPGA Communication using Bluetooth & XBEE” International Journal of Current Engineering & Technology, (IJCET), ISSN no 2277-4106, Volume 05, and July/August 2015. 34. Mr. A. R. Tambe published a paper titled, “ACS Feed Compact Multiband Antenna for Personal Wireless Communication Applications” Progress in Electromagnetics Research Letters (PIER), ISSN: 1070-4698, Vol. 57, 31–38, Sept. 2015. 35. Mr. A. R. Tambe published a paper titled, “Planar Monopole UWB Antenna for USB Dongle Application” Progress in Electromagnetics Research C (PIER), ISSN: 1937-8718, Vol. 60, 37–46, 2015. 36. Mr. P. R. Gunjal published a paper titled “Performance Analysis of Current Starved Voltage Controlled Oscillator” International journal & Magazine of Engineering, Technology, Management and Research (IJMETMR), ISSN no 2348-4845, Volume 02, June 2015, Issue No. 06. 1. 13/07/2018 Mr.Suyog Vyawahare (Founder and Director, Suyog Technologies, Mumbai, India) IEEE SKEP session on “Avionics and Career in Aerospace Industries” TE and BE students 1. Students understood capturing weather images using satellite communication through demonstration by the expert speaker. 2. Students got the firsthand experience of wireless communication. 2. 14/07/2018 Dr. B. Satyanarayana (Scientific Officer (H), TIFR, Mumbai) IEEE SKEP session on “VLSI: Challenges and Opportunities” TE and BE students 1. 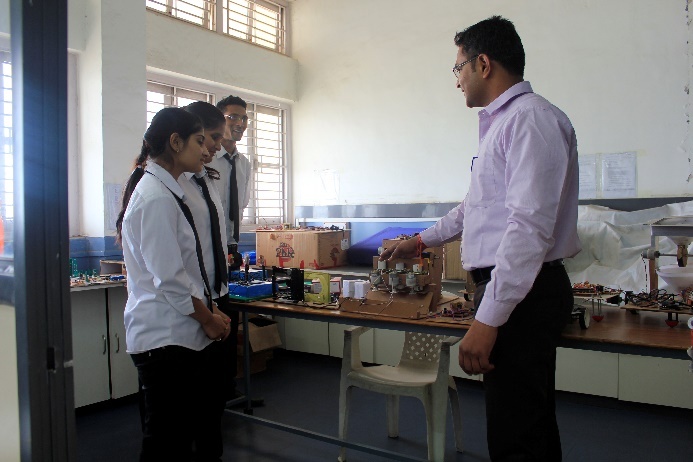 Students became aware advancement of integrated circuit technology towards VLSI. 4. 14/07/2018 Mr. Kiran Talele (Ex-Com member IEEE Bombay section) IEEE SKEP session on “Project development” TE and BE students Students understood various project developed phases. 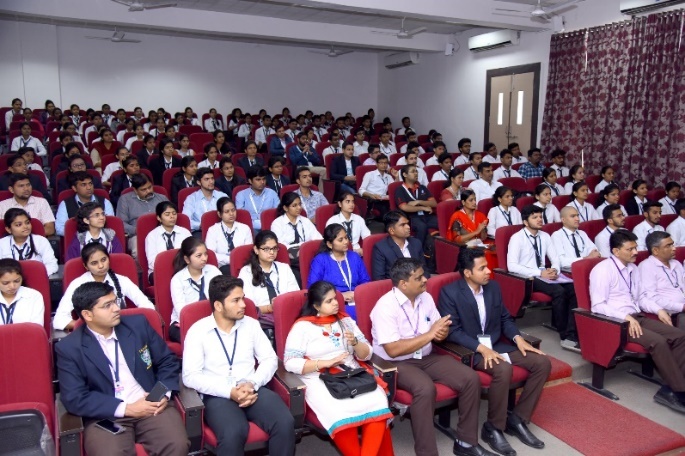 4 04/07/2018 Mr. Amitkumar Auti, TCS, Hinjewadi Phase III, Pune SE 2016-17 Recent trends in Industry Students got awareness about TCS aptitude questionaries’. 9 12/09/2018 Ms. Shaina Suresh Kumar TE & BE 2005-06 Opportunities in Abroad for Higher Education Students understood different opportunities in higher studies. 2 05/07/2018 Mitsubishi Electric India Pvt. Ltd., Bhosri, MIDC, Pune TE E&TC Students Students understood need of automation industry and studied the manufacturing of different PLCs. 3 13/02/2018 Mitsubishi Electric India Pvt. 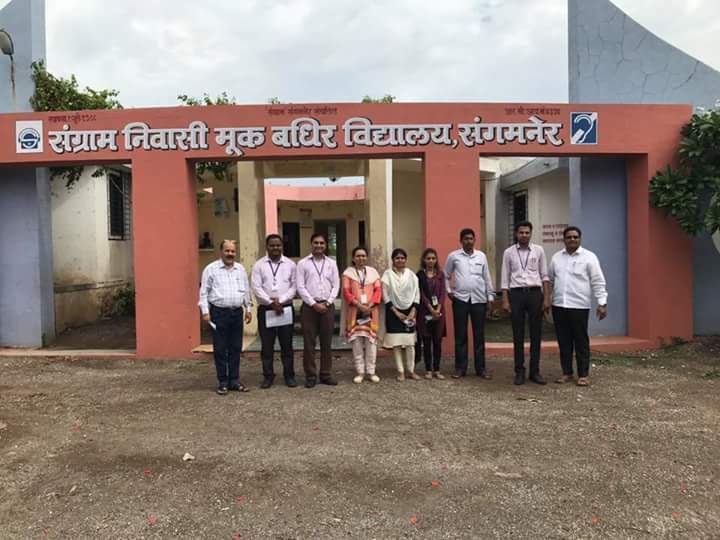 Ltd. Bhosari, Pune TE Students observed the manufacturing process of Air Conditioners, Visual Information Systems, Power Devices, Photovoltaic (solar) Solutions, Power Systems, Transportation Systems and industrial automation machinery. 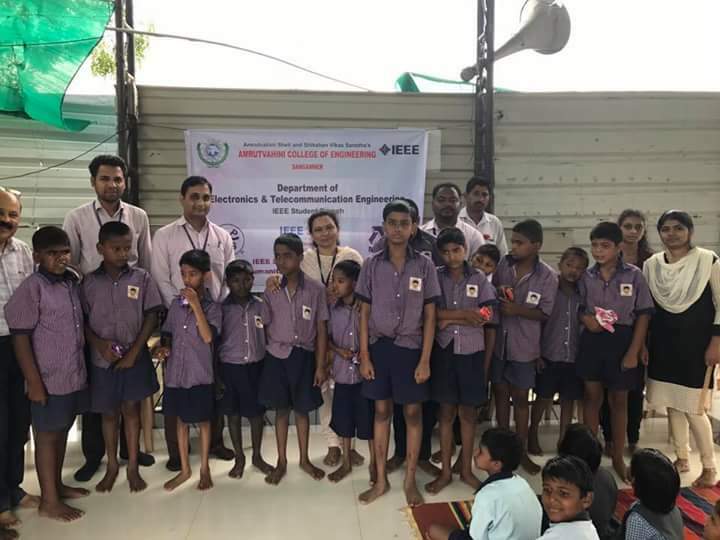 4 22/09/2017 Mihir Enterprises, Pune BE Students observed antenna manufacturing process and measurement facilities of microwave antennas during their visit. 5 18/08/2017 GogateElectroststemsPvt. Ltd., Nashik TE Students studied PCB manufacturing for 11kV batteries and manufacturing of 11kV batteries for inverters. 6 11/08/2017 Sivananda Electronics, Nashik SE Students observed fabrication of different electronics components and manufacturing of various measuring instruments. 4 29/08/2017 Hindustan Aeronautics Ltd, Nashik. SE Students observed manufacturing and assembling of aircrafts. 6 16/07/2017 BSNL Ahmednagar BE Students understood transmission of voice and data over 2G and 3G networks. 1 03/02/2016 Rishabh Instruments Pvt. Ltd, Nashik. TE Students observed manufacturing process of Analog meters, digital meters, current transformers & PCB boards. 3 28/07/2015 Aurangabad Airport SE Students identified importance of time management, operations and maintenance at airports. 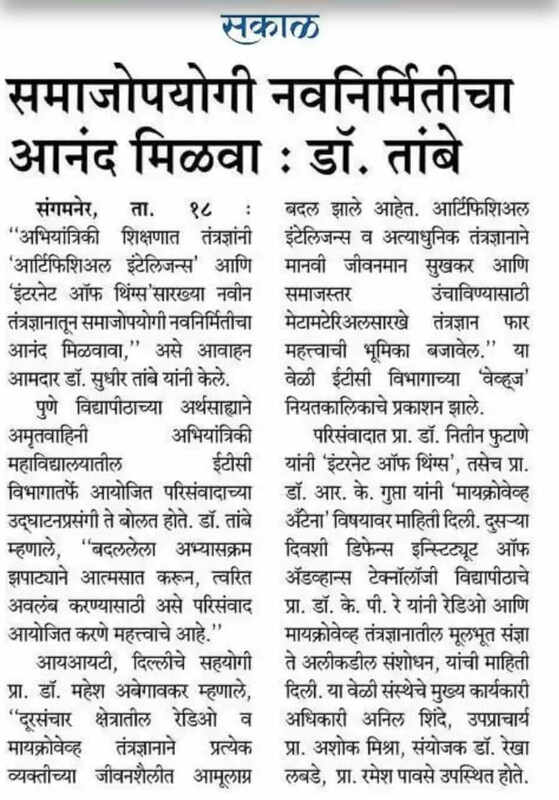 5 03/08/2015 BSNL, Ahmednagar BE Students understood transmission of voice and data over 2G and 3G networks. 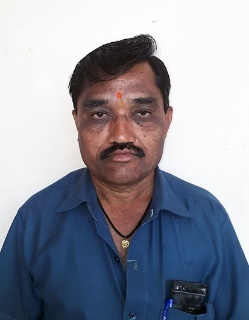 4 01/03/2019 to 03/03/2019 Mr. Rahul Deshmukh Asst. 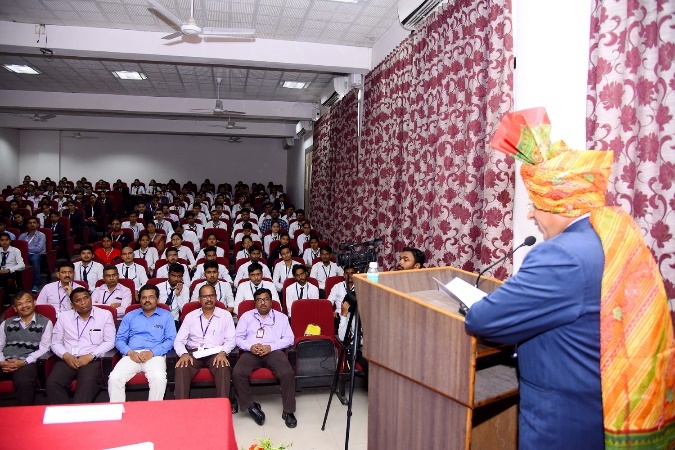 Prof., SITRC, Nashik A three days Workshop on PLC & Automation BE (E&TC) Students interfaced different sensor and actuators and developed automation projects based on PLC. 1 11/02/2016 to 12/02/2016 Mr. P. P. Ambekar (Amb’s C-DSP, Aurangabad) Two Day Workshop on “Basics of Wireless Network using Arduino” TE, BE Students were able to design and develop wireless network applications using Arduino. 1 Dr. R. P. Labade received a grant of Rs. 1, 29,422/- from IEEE -APS for Annual chapter support and special project for blind and dumb students. 4 Dr. R. P. Labade fetched a grant of 1000$ from IEEE MTT-s for Annual chapter support. 1 Dr. R. P. Labade fetched a grant of Rs. 2,00,000.00 for National Level Conference “Modern Emerging Engineering Technologies 2K17”from SPPU, Pune. Dr. R. P. Labade fetched a Research Promotion Scheme (RPS) grant of Rs. 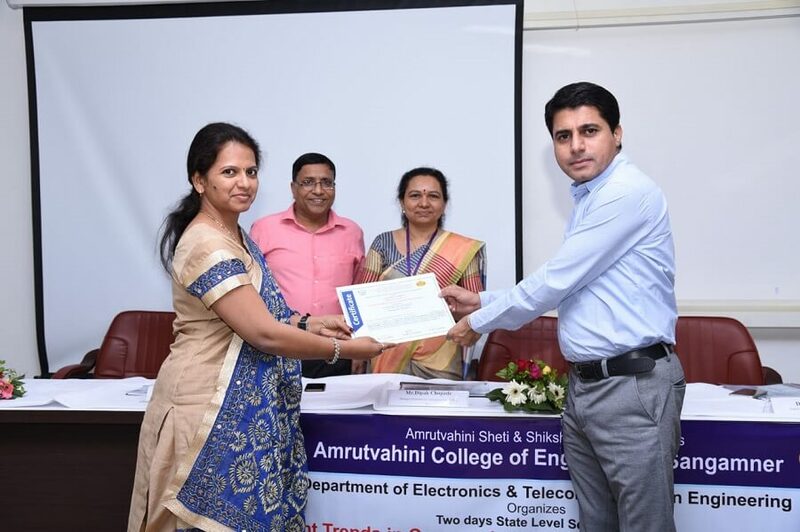 2,10, 000.00 for project title “Design of Multiband Printed Ultrawideband (UWB) Monopole Antenna” from Board of College and University Development (BCUD), SPPU. 2 Mr. S. R. Jondhale fetched a Research Promotion Scheme (RPS) grant of Rs. 1,75, 000.00 for project title “Development of secured target tracking system using wireless sensor network” from Board of College and University Development (BCUD), SPPU. 3 Mr. R. S. Pawase fetched a Research Promotion Scheme (RPS) grant of Rs. 1,40, 000.00 for project title “CMOS Signal Conditioning Circuit for MEMS Gyroscope” from Board of College and University Development (BCUD), SPPU. 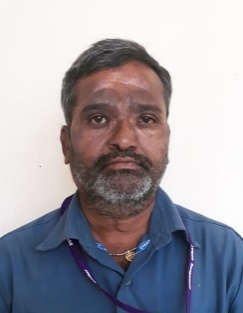 4 Mr. M. B. Kadu fetched a Research Promotion Scheme (RPS) grant of Rs. 1,90, 000 .00 for project title “Design of patch antenna array for MIMO system” from Board of College and University Development (BCUD), SPPU. 5 Mr. S. R. Gagare fetched a Research Promotion Scheme (RPS) grant of Rs. 1,90, 000.00 for project title “EMI/EMC Analysis & Noise Reduction in High Frequency Devices” from Board of College and University Development (BCUD), SPPU. 6 Mr. S. R. Gagare fetched a grant of Rs. 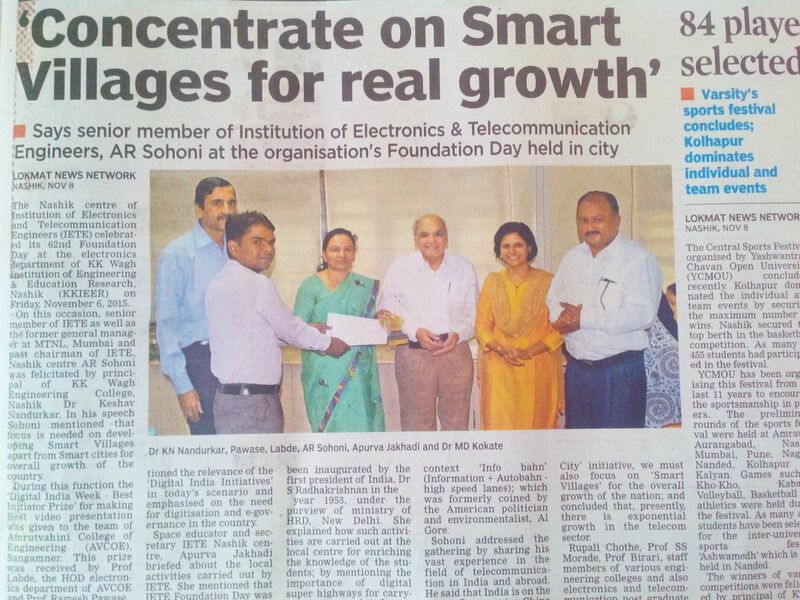 1,50,000.00 for National Level Seminar on “Microwave Antennas” from AICTE, New Delhi. 7 Ms. R. P. Labade fetched a grant of Rs.15,60,000.00 for MODROB of “Advanced Microwave Communications and Research Lab: A complete communication approach” from AICTE, New Delhi. 9 Ms. R. P. Labade fetched a grant of Rs.15,000.00 for State Level Seminar on “Cloud Computing” from SPPU, Pune. 10 Ms. R. P. Labade fetched a grant of Rs.13,90,000.00 for MODROB of “Modernization of Advanced Microwave Communication and Research Lab” from AICTE, New Delhi. 11 Mr. R. P. Labade fetched a Research Promotion Scheme (RPS) grant of Rs. 2,00, 000.00 for project title “Miniaturized compact broadband M.S.A.” from Board of College and University Development (BCUD), SPPU. 12 Mr. R. G. Mapari fetched a Research Promotion Scheme (RPS) grant of Rs. 2,00, 000.00 for project title “An efficient electrical power transfer for performance enhancement of the hybrid vehicle” from Board of College and University Development (BCUD), SPPU. 13 Ms. R. P. Labade fetched a grant of Rs. 60,000.00 for State Level Conference “Technozest 2K11” from SPPU, Pune. 14 Ms. R. P. Labade fetched a travel grant of Rs.1,24,807.00 for presenting paper at Calgary, Canada, USA from SPPU, Pune. 1. Graduate of the program will be having strong background in basic sciences and mathematics. He will be able to use this knowledge in Electronics & Telecommunication engineering. 2. Technical Competence:Graduate of the program will be technically prepared and developed to compete in the field of Electronics & Telecommunication engineering and develop solutions to the problems in various areas of Electronics & Telecommunication engineering. 4. Graduates of the program will be prepared with professional skills to deliver effectively in a multi-disciplinary team and domain. 5. Graduates of the program will be prepared to continue their professional development through continuing education and personal development through life-long learning. 6. Graduates of the program will be able to ensure their ethical and moral behavior. 7. Environment and sustainability: Apply the knowledge of mathematics, science, engineering fundamentals, and an engineering specialization to the solution of complex engineering problems. 12. Life-long learning: Recognize the need for and have the preparation and ability to engage in independent and life-long learning in the broadest context of technological change. 1. To make students able to skillfully use modern engineering tools and techniques for Engineering design and analysis. 2. To prepare students to formulate and solve telecommunication engineering problems. 3. To develop student’s ability to understand professional, ethical responsibility and adherence to the quality. 1. Smaash Entertainment Pvt. Ltd.